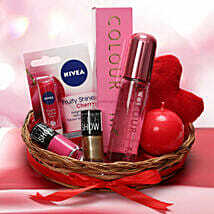 If you are too lazy to step into the mall, our widest collection of gifts will come to your rescue. 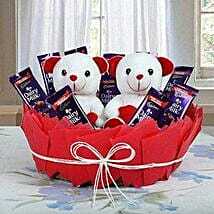 Send gifts to her online with Ferns N Petals which brings to you the widest collection of gift baskets. 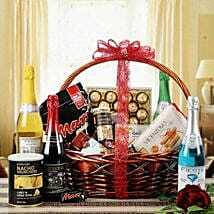 Our gift baskets comprises of gift items for both who is blessed with a sweet tooth as well as for the one who is looking for a much healthier option. 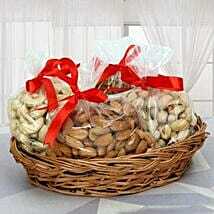 All our gift baskets online are available at an affordable price range too so that it doesn’t hurt your pockets. 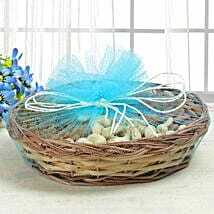 One of our most popular gift baskets comprises of a premium quality of green tea which is not only healthy but is also one of the most preferred choice amongst most people these days. 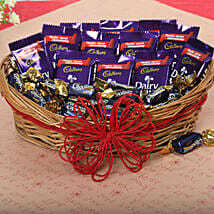 Depending on the occasion and the recipient you are planning to gift, you can send gift baskets filled with some premium quality of chocolates which will be a relishing treat for your loved ones. If you looking for a healthier option, you can even go for our gourmet of dry fruits which will be an excellent snack served during festive season. 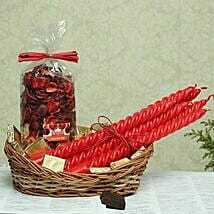 Our gift baskets online delivery serve as the most sold items during seasonal festivities. 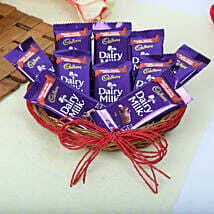 As they turn out to be ideal treats to be given to friends, families and colleagues too. Our same day delivery option is the last minute gift shopping. 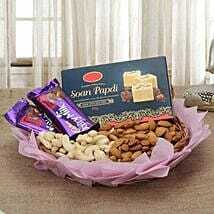 You recipient will be thrilled to receive such gift on a festive occasion. Being in the gifting business for more than 20 years, we understand the need and requirements of our customers. Therefore, we keep coming up with new services to provide better shopping experience to the customers. Our flexible delivery options allow you to send gifts to him online at unexpected time frames such as next day and even fixed time delivery too. You can send gifts to both national and international destinations too quite effortlessly. We have covered more than 350 destinations and have plans of bringing more and more destinations to our ambit.